In the midst of a blizzard, in a two-family brownstone, two babies are born, minutes apart. The mothers are sisters by marriage: dutiful, quiet Rose, who wants nothing more than to please her demanding husband; and warm, generous Helen, the exhausted mother of four rambunctious boys who seem to need her less and less each day. Having raised their children side by side, Rose and Helen share an impenetrable bond forged before and during that dramatic winter night. When the storm passes, everyone seems to have gotten what they wanted, but the truth is not the simple. As the years progress, small cracks start to appear and the once deep friendship between the two women begins to unravel. No one knows why, and no one can stop it, but everyone’s lives have been shaped by that evening. One misguided choice; one moment of tragedy. Heartbreak wars with happiness and almost, but not quite, wins. 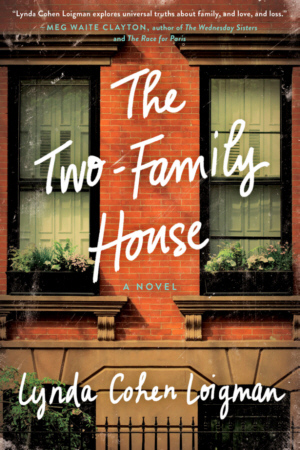 Moving and evocative, The Two-Family House is a heart-wrenching, gripping multigenerational story, woven around the deepest of secrets.